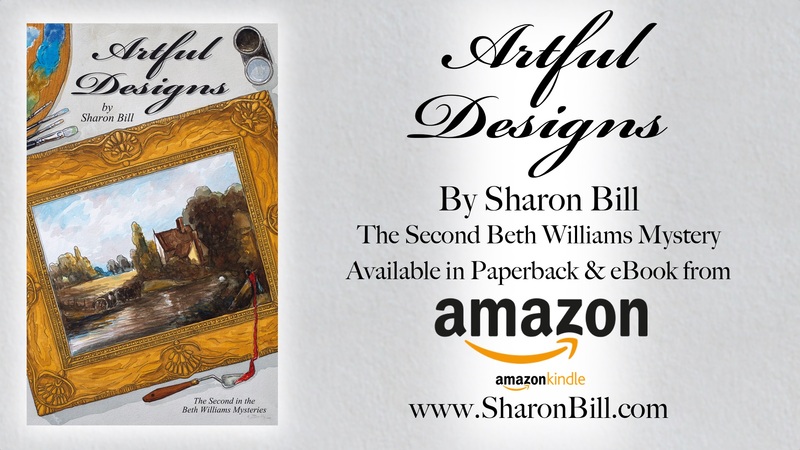 ‘Artful Designs’ is Sharon Bill’s second Cozy Mystery novel – the follow up to the 5 star reviewed ‘Fête Fatale’ from 2017 – and is available from Amazon.co.uk on Kindle ebook £1.99 (and Kindle Unlimited) and paperback £7.99. In this second Beth Williams cosy mystery Beth and her DCI twin Brother Benedict get drawn in to the theft of a John Constable watercolour from the Whitworth Art Gallery that is compounded with a murder or two!.. And Beth’s husband Drew is implicated in the sordid affair! This entry was posted in Books, The Art of Billy Blog and tagged Agatha Christie, Amazon, Books, Cosy Mystery, Cozy Mystery, eBook, eBooks, John Constable, Kindle, Kindle Unlimited, Murder Mystery, Sharon Bill, watercolour, Whitworth Art Gallery on 25/01/2018 by billy. Fête Fatale Extract Read by Sharon Bill. A Debut Cosy Mystery. Here is a link to a short extract of the debut cozy mystery, ‘Fête Fatale’ by Sharon Bill, read by the author. This entry was posted in Books, The Art of Billy Blog and tagged Amazon, Books, Cosy Mystery, Cozy Mystery, eBook, eBooks, Fête Fatale, Murder Mystery, paperback, Sharon Bill, Women's Institute on 06/10/2017 by billy. Do you know anyone taking their ABRSM Music Theory exam soon? How To Take Your ABRSM Music Theory Exam Grades 1,2 & 3 by Sharon Bill – exam technique guide. Paperback £3.99 and eBook 99p from Amazon. And also available on other Amazon nation’s stores. This entry was posted in Books, The Art of Billy Blog and tagged ABRSM, Amazon, eBook, eBooks, Music, Music Lesson, Music Theory Lesson, paperback, Sharon Bill on 06/10/2017 by billy. Below is the Full finished cover of Sharon Bill’s debut murder mystery novel ‘Fête Fatale’. The original art is a watercolour on Bristol board. Full time-lapse is on my Youtube channel and in a previous blog post (go back two posts). Fête Fatale by Sharon Bill – Watercolour cover art by Billy for Sharon’s debut cosy mystery novel. “A summer fête in rural Cheshire, organised by the Women’s Institute of Mossleigh, holds the promise of an idyllic day out in the best British tradition. Everyone is enjoying the festivities until a beloved neighbour is found dead among the bins and refuse of the village hall which saddens the holiday mood. However, it is only when Beth Williams and her twin brother Detective Chief Inspector Benedict James join forces that it becomes evident that all isn’t as innocent as it at first seemed. 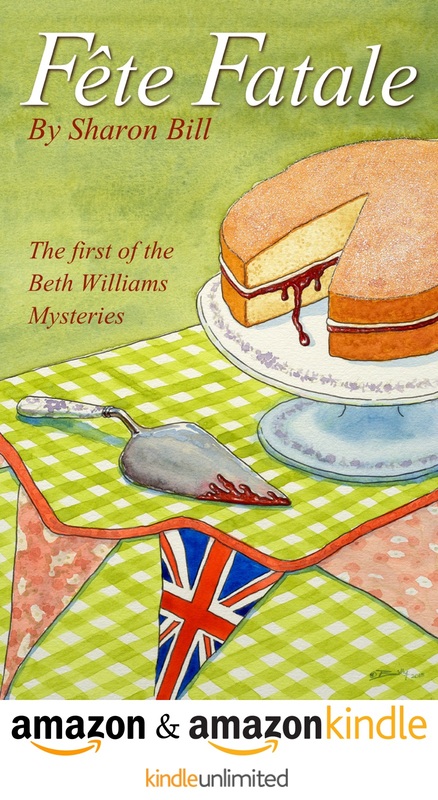 Fête Fatale by Sharon Bill is the first cosy mystery novel in ‘The Beth Williams Mysteries Series’. This entry was posted in Books, The Art of Billy Blog and tagged Amazon, Art, Billy Art, billy the artist, Books, eBook, eBooks, Sharon Bill, watercolour on 07/09/2017 by billy. Here is a short time-lapse on Vidme of the art I have produced for ‘Fête Fatale’ The Debut Murder Mystery Novel from Sharon Bill available on Amazon in Paperback and eBook. This entry was posted in Books, The Art of Billy Blog and tagged Amazon, Art, Books, Cosy Mystery, eBook, eBooks, Murder Mystery, Sharon Bill, watercolour on 05/09/2017 by billy.